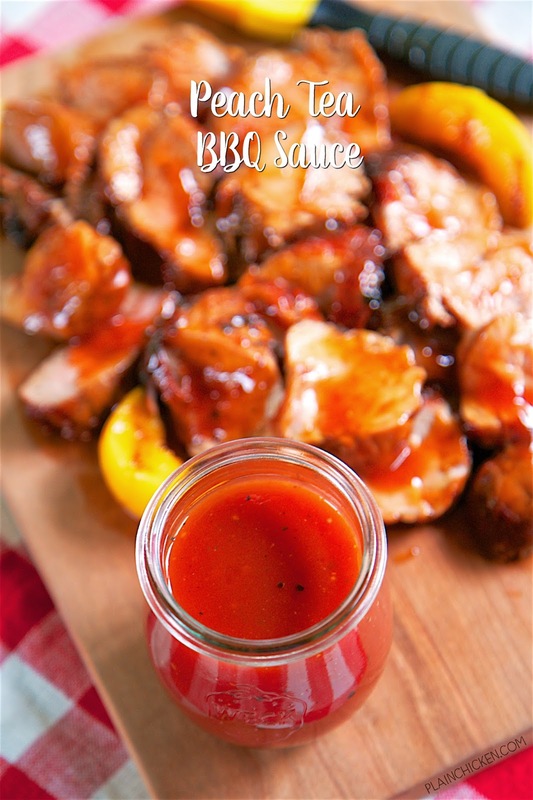 Peach Tea BBQ Sauce - quick homemade BBQ sauce that is ready in 10 minutes! Peach tea , ketchup, cider vinegar, dijon mustard, brown sugar, salt and pepper. BEST BBQ sauce I've ever eaten! LOVE the peach tea! Crazy good! Great on pork, chicken, ribs and smoked sausage. New favorite alert! 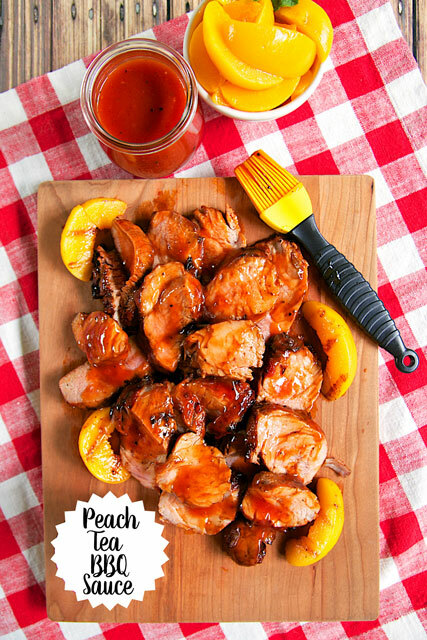 We are in LOVE with this Peach Tea BBQ Sauce. It is ridiculously good! The best part is that it only takes 10 minutes to make. You can make the sauce ahead of time and refrigerate it for week before using. I love easy make ahead meals! The Peach Tea gave the BBQ sauce a nice flavor. I think peaches and tea just scream summer! Perfect combination. We used this on some pork tenderloin and it was perfect! 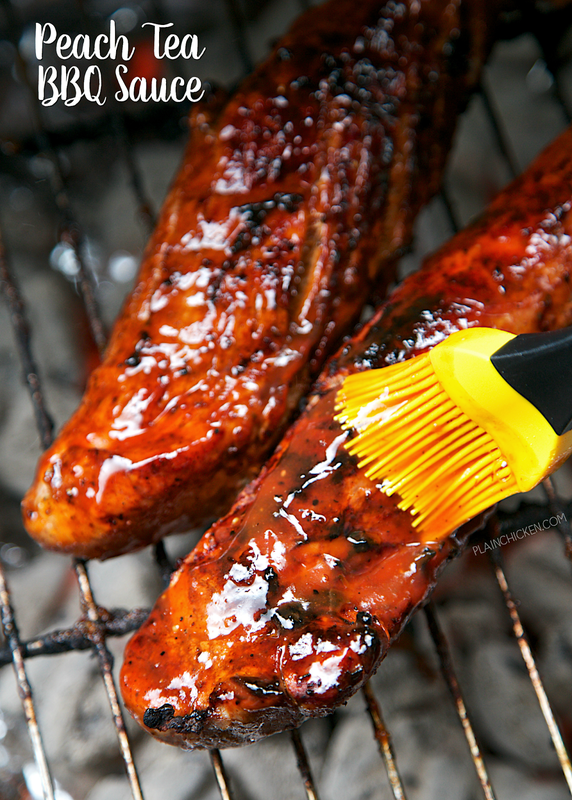 We seasoned the pork with some BBQ seasoning and threw it on the grill. 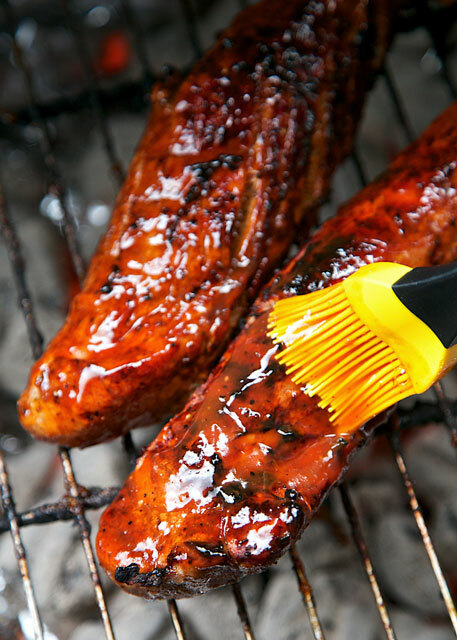 During the last few minutes of cooking, we brushed both sides with this Peach Tea BBQ Sauce. OMG! THE BEST! We are going to try the sauce on some chicken and smoked sausage this weekend. YUM! Bring 1/2 cup water to a boil. Add peach tea bag to water and let steep for 5 minutes. Remove tea bag and add remaining ingredients. Whisk to combine.Bring to a boil. Reduce heat and simmer for 10 minutes. Use sauce on chicken, pork and sausage. Store leftover sauce in refrigerator for up to 1 week.